How often do you cook fish? Every day, a must ! Once a month or when in the mood. Fish is known low in fat and high in protein. 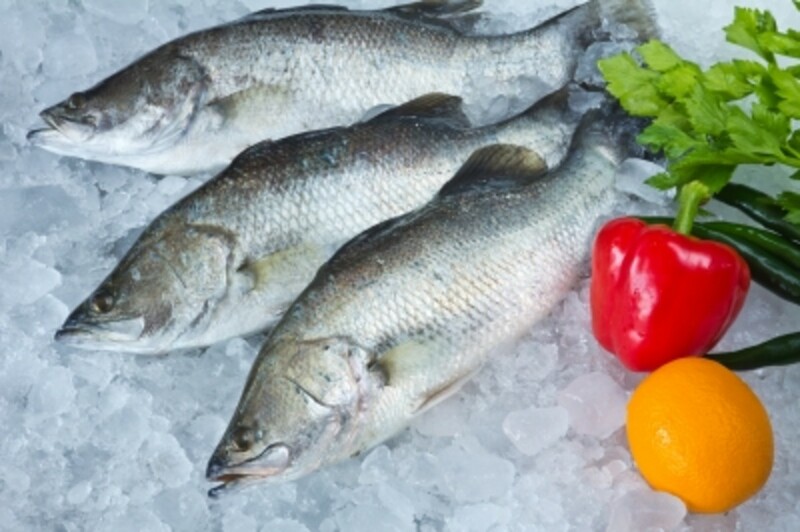 Fish makes an excellent food of a healthy and well balanced diet. It is quick and easy to clean fishes except for the scaly ones. If you hate to pull out those intestines, you could request for the fishmonger to do the gooey job for you. Nowadays, even hypermarket has the service too. Otherwise, you can purchase pre-prepared fish packed in vacuum packet at supermarket which are usually frozen. Consumers are spoilt for having various of choices and availability of fish to choose from at the wet market and hypermarket. Many people have the wrong concept that fish has a mild, bland flavor and difficult to cook, compare to meat and vegetables which are robust food. Instead, look at the bright side. Fish is an interesting dish that makes a perfect match for weight watchers. It is essential to ensure that you food is tasty and not boring when following a diet plan to lose those excess fats. In the market, fish comes in many types, such as fish cake, fish finger ( covered with breadcrumbs ), fish balls, thickly sliced fish meat like the Salmon and Codfish. For those who loves oily fish, especially Salmon, Mackerel, Anchovies, Sardines and Herring, ought to reduce the quantities because the flesh are high in calories. 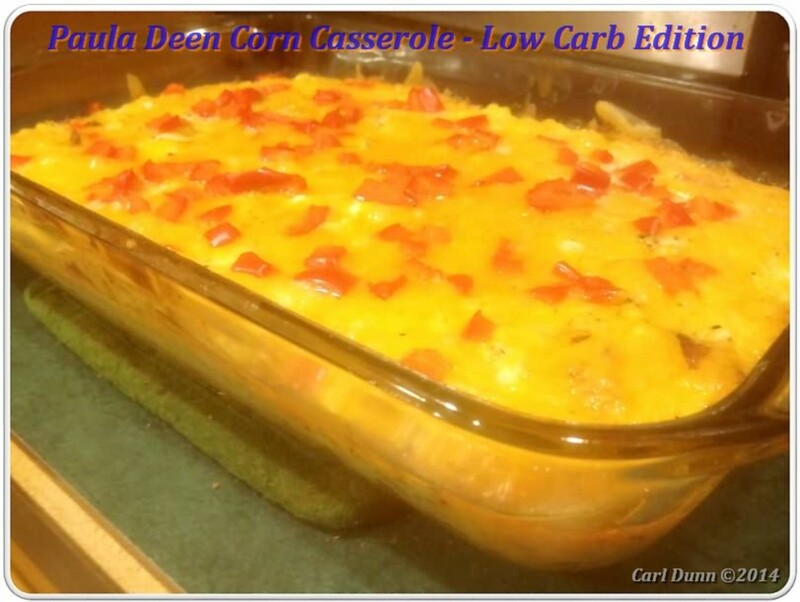 Simply combine with more vegetables to hide the calories and enhance the taste. Majority prefer fish which are canned due to convenience and fast to cook. Choose tuna fish canned in brine or water instead of oil. 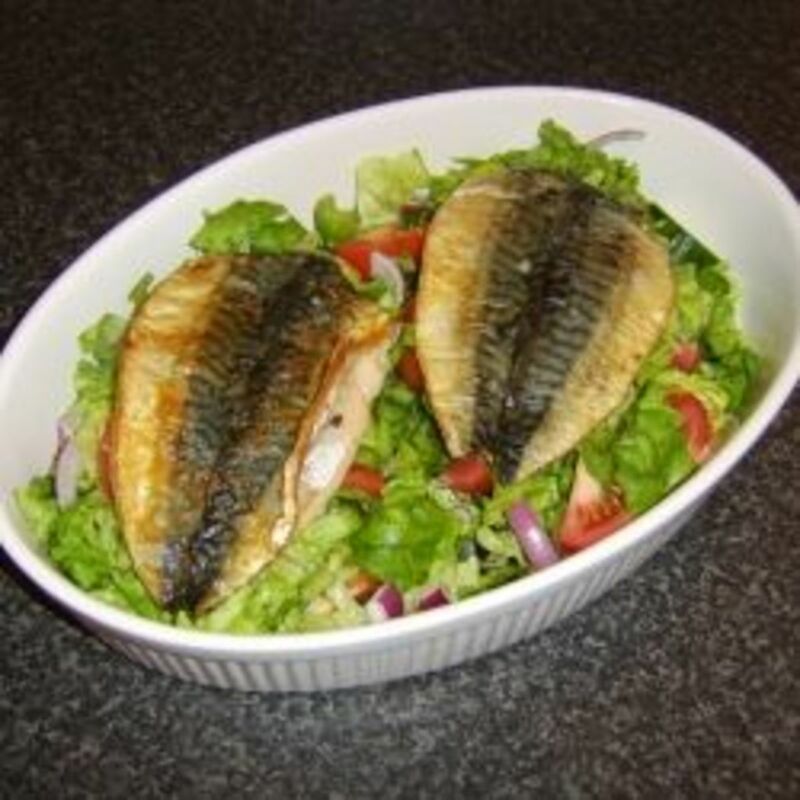 In this article, you will find some spicy delicious fish which makes your mouth water and steam dishes for light eaters. 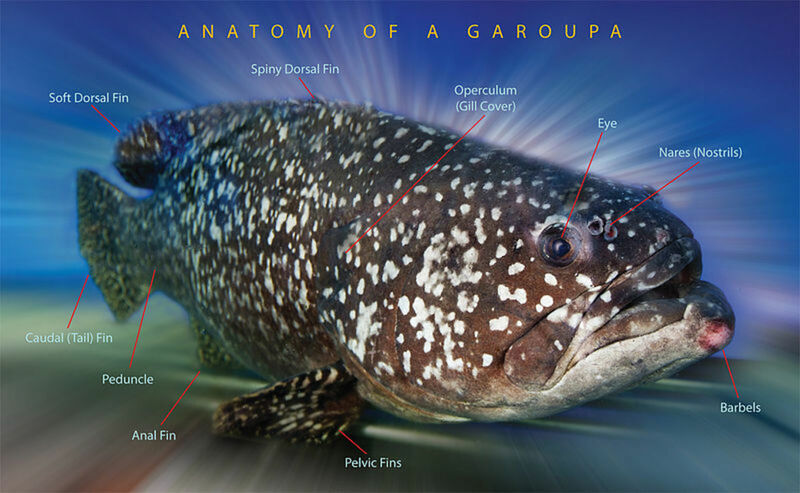 Do You Want To Take The Fish Quiz? This simple and straight forward recipe is delicious and ready in 30 minutes or less. If you don't want to waste your time waiting for the fish to marinate in the mixed sauces, marinate them in the morning and leave them in the refrigerator until you finish work. By then, the fishes are deep marinated and smell delicious when you fry them. Don't worry about the Spanish mackerel fishy odor. Let the mirin sauce do the trick. It overlaps the fish odor with its' sweet rice wine. Just squeeze some lemon juice and sprinkle chopped parsley for tasty and hearty meal. What is Mirin Sauce? Can I substitute it? Mirin sauce is a kind of rice wine that is similar to sake (Japanese wine) but the sugar content is higher while the alcohol content is lower. Suitable for cooking purpose. 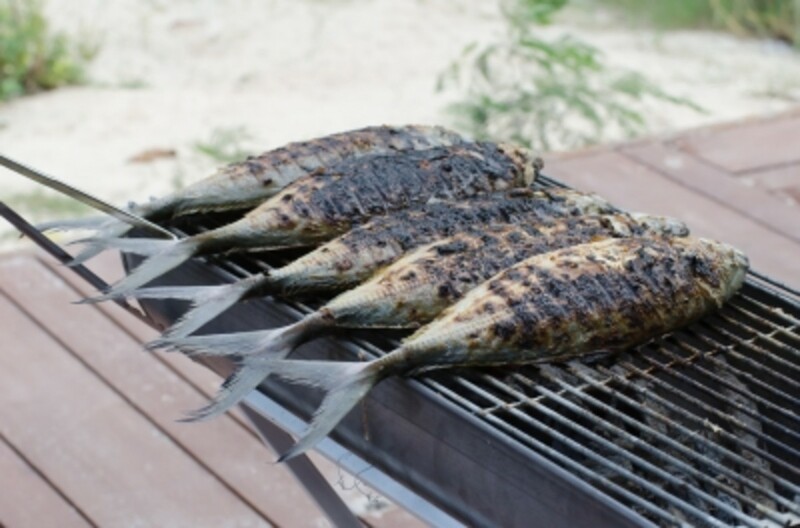 Japanese chef uses mirin in order to remove the fish odor when grilling, frying or roasting fish. Usually 1/2 teaspoon to 1 tbsp is used to marinate the fish (depending on how many pieces or how big is the fish ) rather than using sugar and soy sauce. However, do not use too much mirin sauce as it has a strong flavor that might put you off. Can I Substitute Mirin Sauce? 1/4 cup dry sherry mix with 1/4 tsp of sugar. Mix rice vinegar, sugar and salt together. 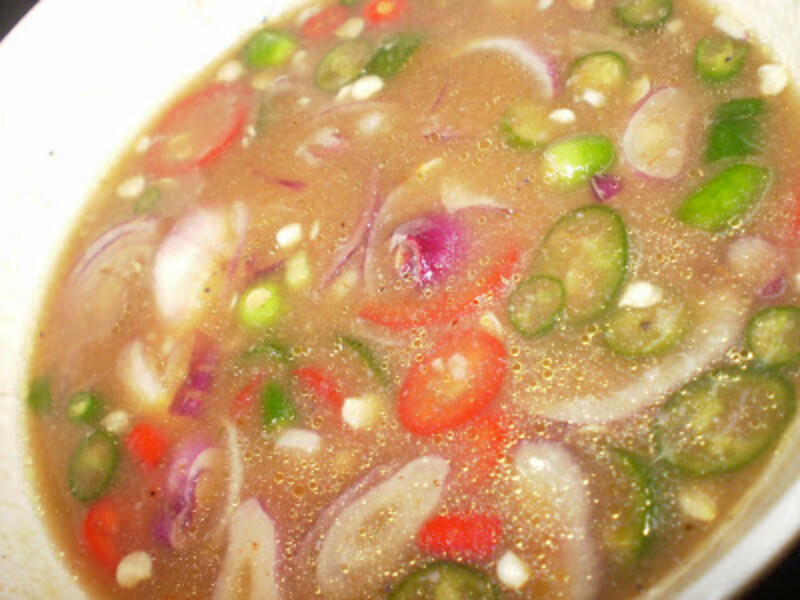 Mix rice vinegar with sweet chilli sauce. Mix all ingredients together and let the fishes sit in the marinade for at least 20 minutes. Heat 2 tablespoon of oil in a frying pan or wok. Fry the fish, one at a time on high heat until brown on one side. Turn over to the other raw side. Do not overcook the fish as the meat will turn rough and tough. Remember not to leave the fish unattended. You might burnt the fish. 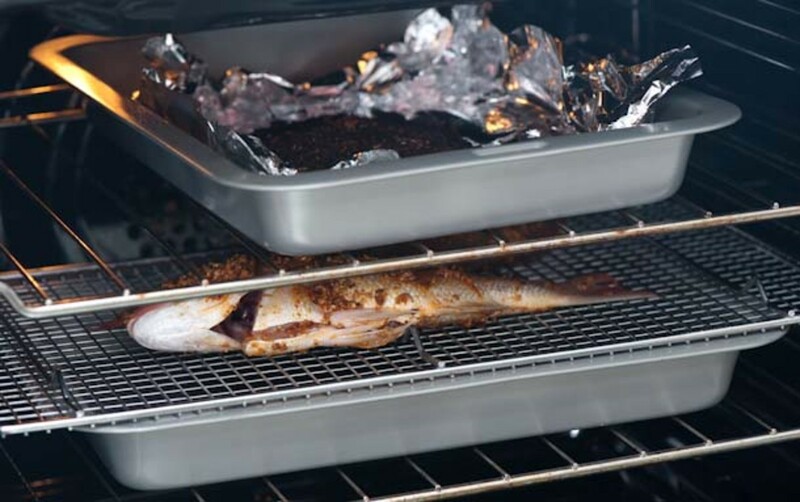 When both sides of the fish are cooked and brownish, turn off heat. Remove and place on a flat plate. Serve with chopped parsley, slices of tomatoes and lemon. Is this Grilled Fish recipe easy to prepare? Okay, I think I will try it someday. 4 Spanish Mackerels or any fish that you like- remove the intestines, wash well. Shrimp paste or shrimp sauce is commonly used in Asian spicy food, dipping sauce, curries and spicy sauces to enhance the fragrant smell. If you hold the shrimp sauce just below your nose, you will overblown by it's stinky smell. 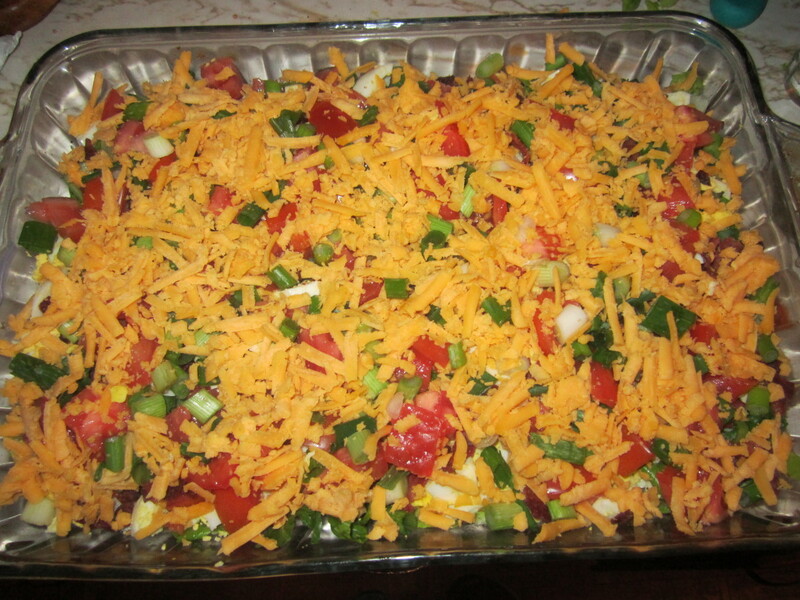 However, when you mix it will the spicy ingredients, it will turn out fragrant and tasty. Shrimp sauce or shrimp paste is also called as "Belacan " in Malay language. It is made from fermented ground shrimp with salt and sun-dried into blocks or different sizes. Where to buy Shrimp paste? Shrimp paste comes in blocks, circles or rectangular sizes, usually packed in paper packing or laminated plastic bags. You can find them in wet market, supermarket, grocery stores and hypermarket under the seasoning department. They are sold cheaply. I bought one piece for RM0.50 ( USD $0.16 )cents that could last me for 5 times cooking different recipes ! You could also order online at Amazon for this Thai Shrimp Paste that could last you for years. Most of these packaging expiry dates are either 2015 or 2016. How to Grill The Fish? 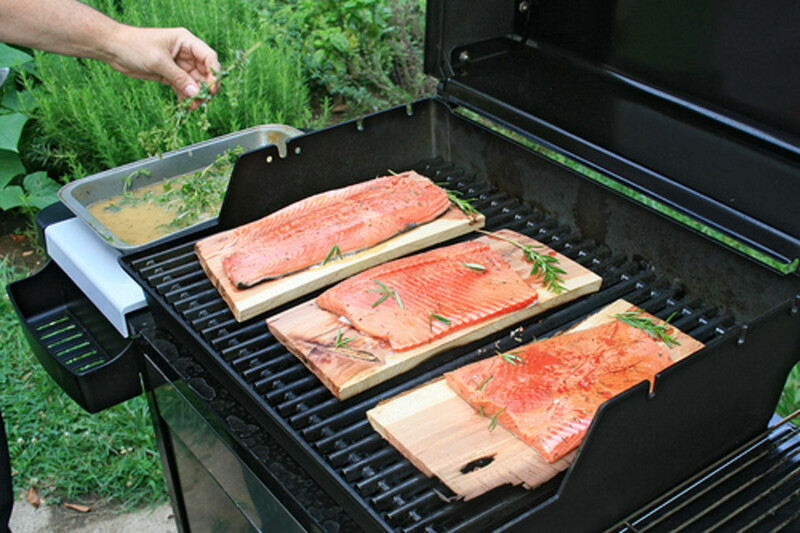 If you have an oven with a grill, you could easily grill the fish without having to worry burning them. Otherwise, you could use a barbeque grill to roast your fish in the backyard. The best way I chose was to fry them in the wok, save time. Make sure that all the intestines , gills, bloods are removed and wash cleanly. Sprinkle a little salt on both sides of the fish. Grill or roast them until both sides are cooked. If you plan to fry in a wok, sprinkle some corn flour and spread them evenly on both sides. This is to avoid the water still remained in the fish from popping in the hot oil. Furthermore, your fish will turn out crunchy and crispy. I like that. 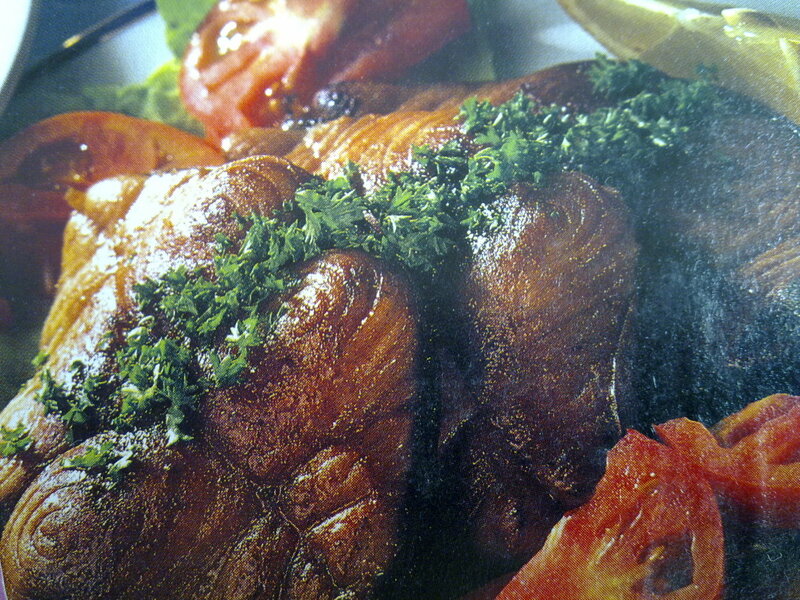 Baked fish is an Eurasian style of cooking method. It is healthy, easy to cook and takes you less than 20 minutes to get this fish recipe ready to lay on your dinner table. While waiting the fishes to cook, prepare the sauce. It is easy and quick too. Mix together the sliced red, green chillies and shallots into a small bowl. Add 1 tsp tamarind paste into 1/2 cup of water to produce the tamarind juice. Toast the shrimp paste in the toaster for 3-5 minutes. Crumbled shrimp paste. Mix all ingredients together. Stir well and all combined. Add salt to taste. Don't put too much salt, it will turn salty. Once the fishes are cooked, serve them hot with the sauce and white rice or just eat the fish by dipping the fish meat into the sauce. You could fly to Heaven !! Cod fish had been my favorite fish since I was pregnant with my first child. 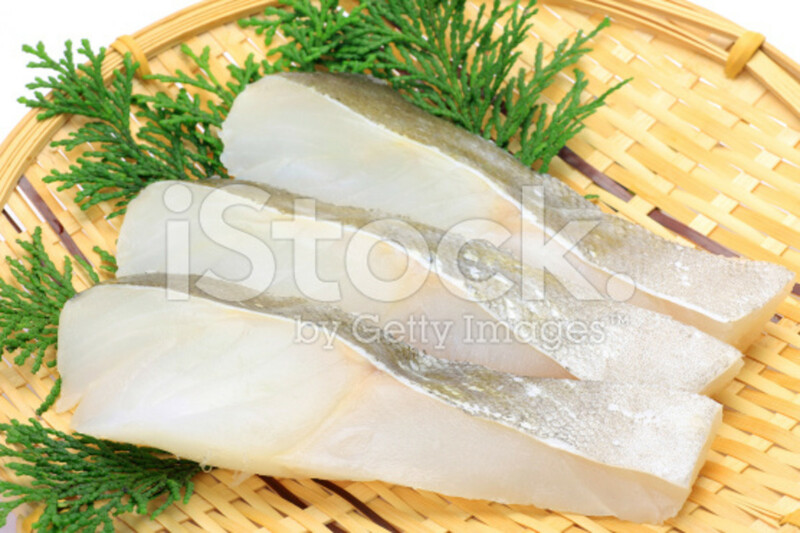 The fish meat is white, soft and delicate. Cod fish absorbs well all type of sauces but I prefer black pepper sauce which reminds me of grilled chicken chop with black pepper sauce. 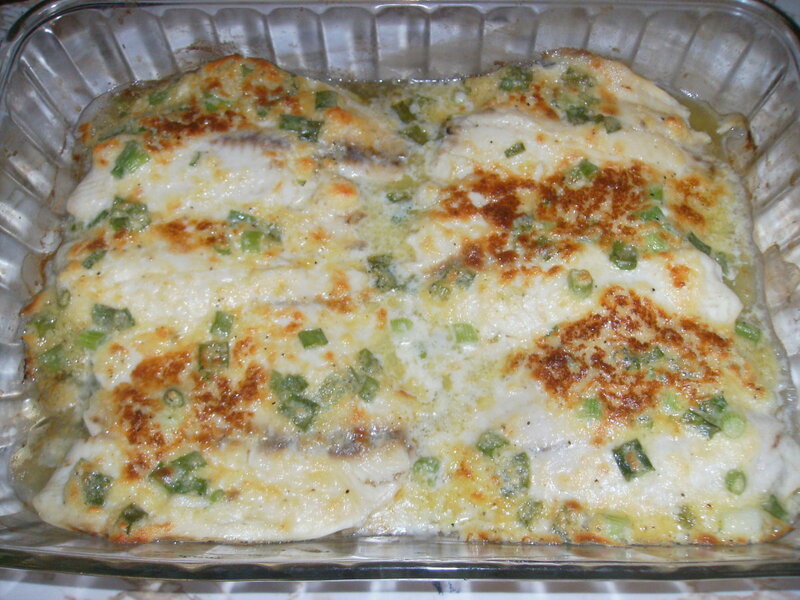 This fish recipe is easily prepare and takes approximately 20 minutes to ready that yields 4 persons. This flavor-packed cod fish dish will definitely appear on your dining table next week. Your family members will pre-order this Cod Fish with Black Pepper Sauce before the weekend arrives. Decorate this cod fish with chopped spring onions, fried strips of ginger and strips of carrots to enhance the taste. Place cleaned fish on heatproof plate. Mix the rest of ingredients except ginger and coriander leaves and sprinkle over the fish. Steam fish in hot steamer for 10-15 minutes or until the fish are cooked. Heat up wok with a little oil. Sauté shredded ginger until golden and fragrant. Remove and set aside. Chop coriander leaves into preferred size. Garnish with coriander leaves and shredded ginger on to the fishes. 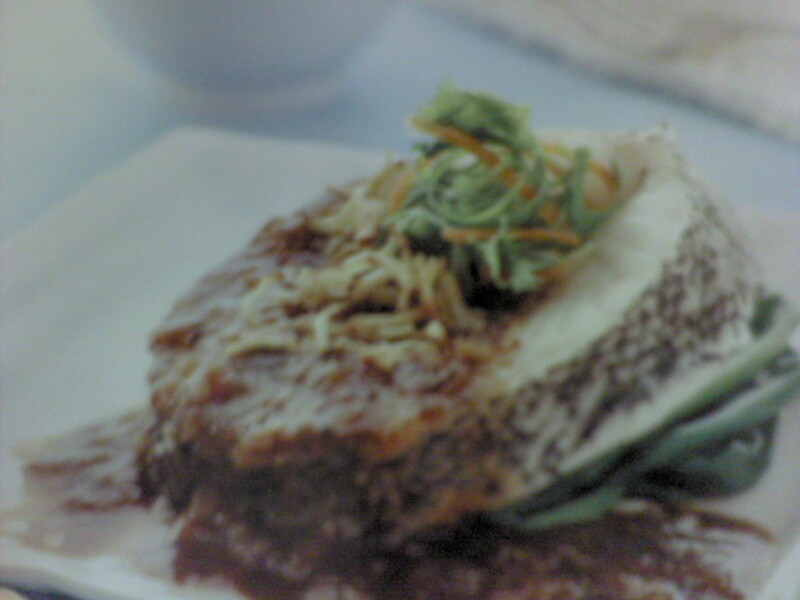 You could replace cod fish with any fish steak such as kurau or garoupa. 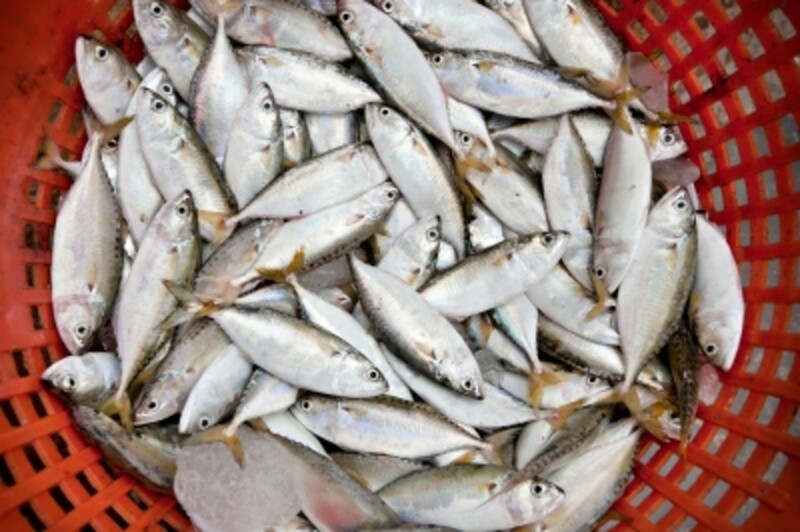 In Malaysia, croacker fish is known as "Ikan Gelama", usually sold in wet market and hypermarket. 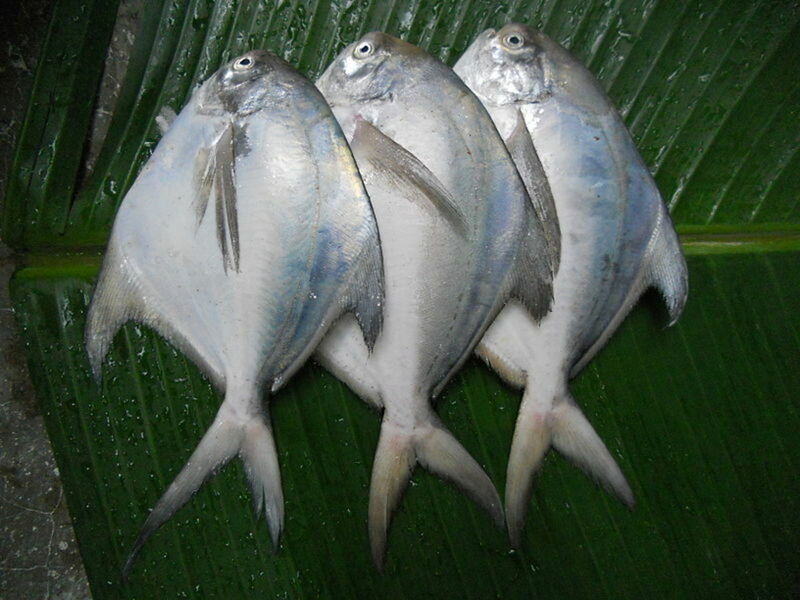 Croaker fish meat is white, delicate and easily digested. The bones are small, could be eaten if fried until crispy. 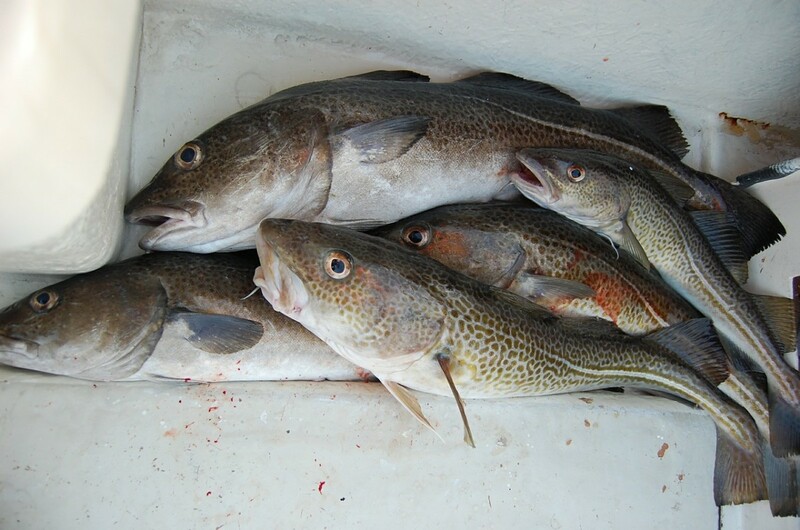 This fish is medium in size, smaller than red snapper and usually silver-gray color with white or yellow fins. There are many ways to cook croaker fish. 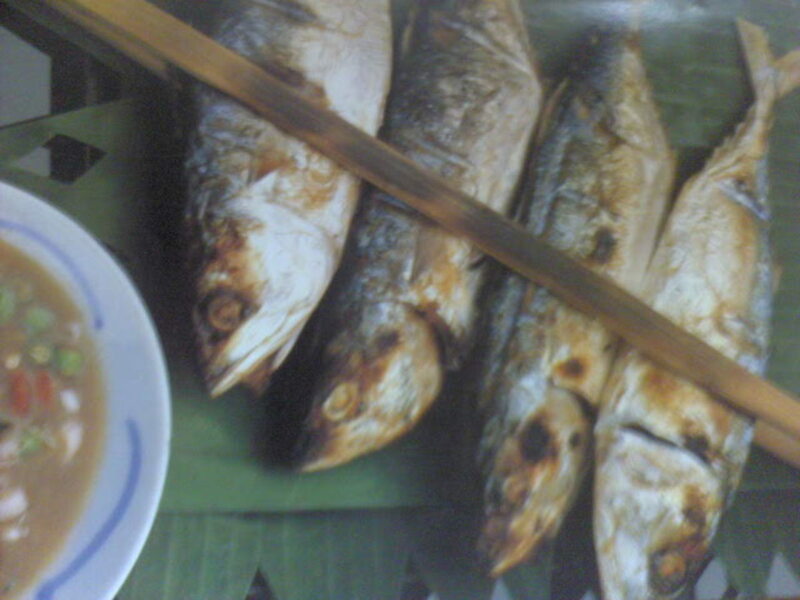 The most commonly found fish recipes are fried croaker with spicy sauce, steam croaker with ginger and soytbean paste or braised croaker fish with radish soup. For a hot weather or summer season, it is wise to consume steam or briased fish to lower down our temperature and healthy for our body. Crush all mash the soybean into bean paste. Set aside. 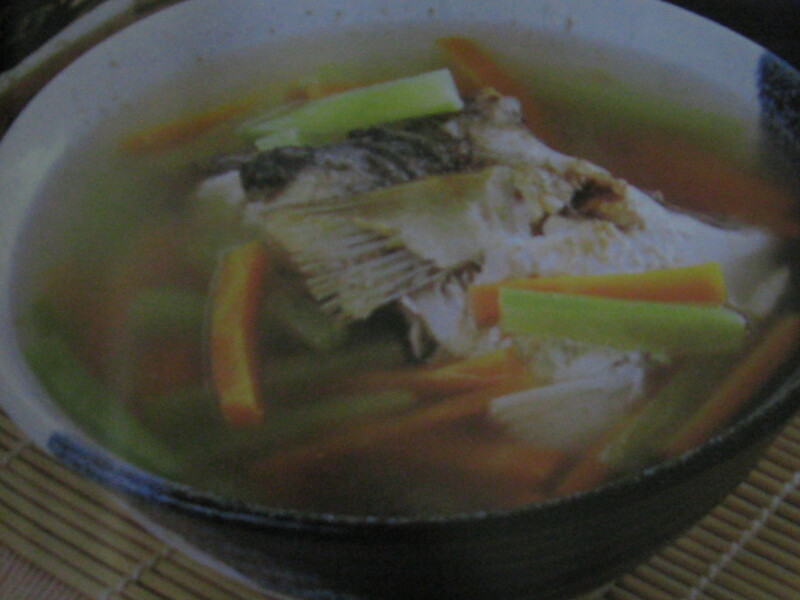 Remove the fish intestines, gills and blood. Wash thoroughly. 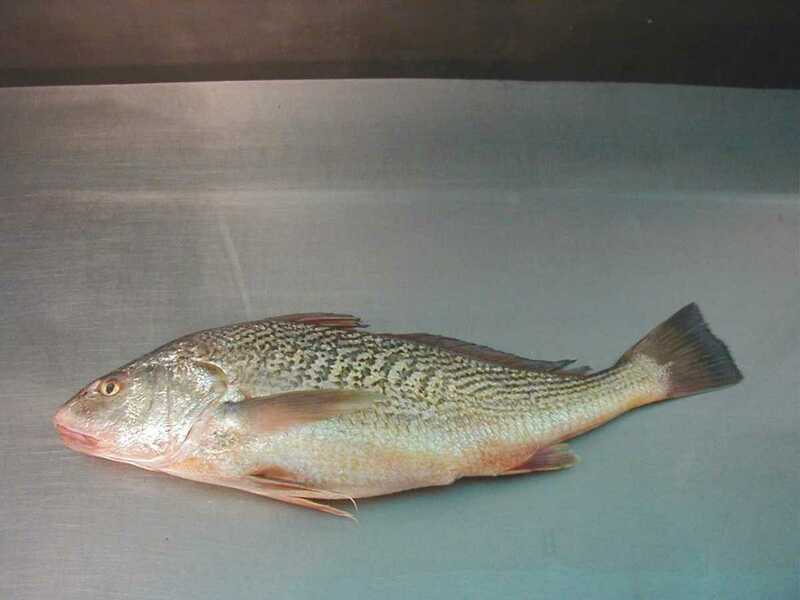 If the croaker fish is big, cut it into half for easy cooking. Brush a little salt on both sides of the fish. Set aside. 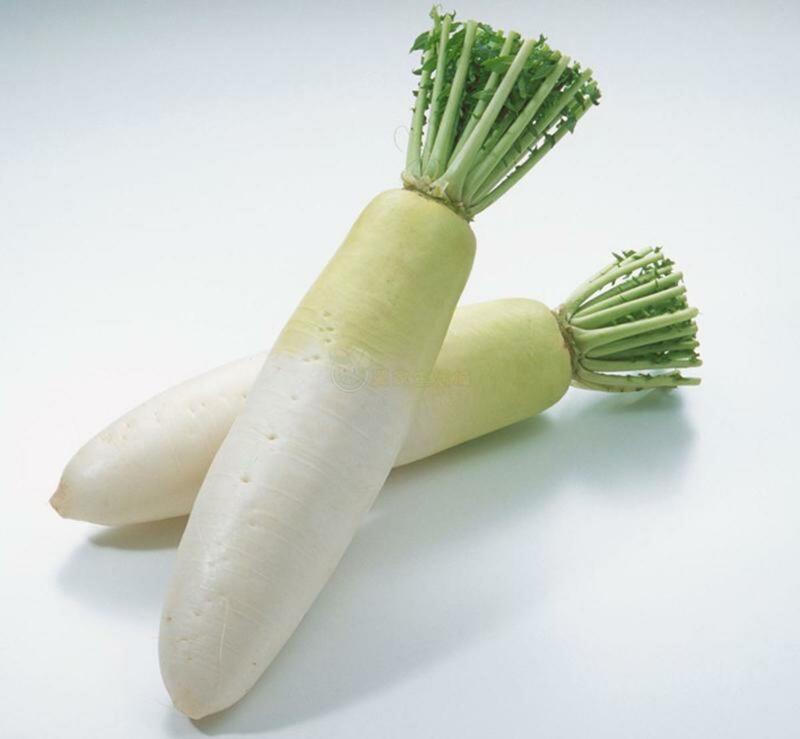 Peel radish. Rinse and shred the radish into 3 inch strips. Boil the radish strips in boiling water for 5 minutes to soften them. Drain and set aside. Heat 3 tbsp of oil in a wok. Slide in the upper fish into the wok. 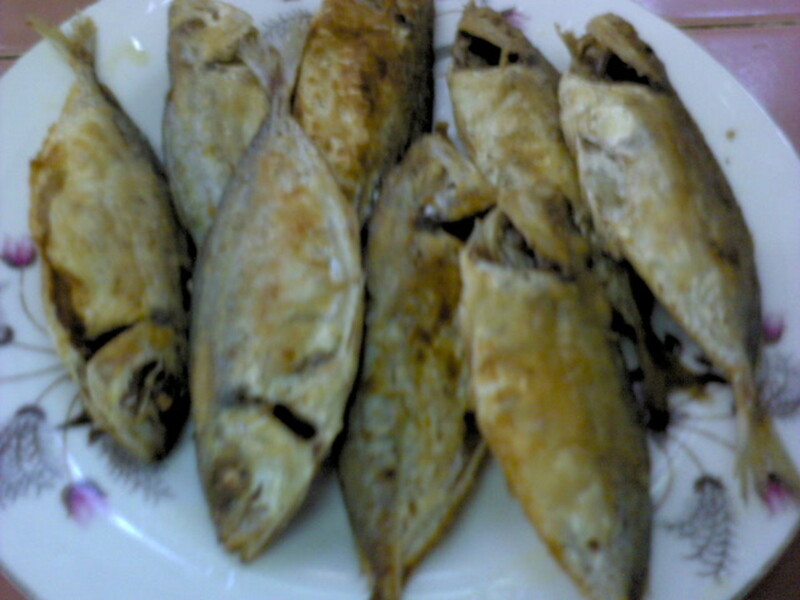 Fry fish until both sides are slightly brown. Remove the cooked fish. Repeat the same procedure for the lower part of the fish. Removed it. With the remainder of the oil, sauté ginger, cooked radish, mashed bean paste and seasoning in. Pour in 1 cup of boiling water into the wok. Add in the fried croaker fish into the wok. Cover the lid to simmer for 5 minutes. 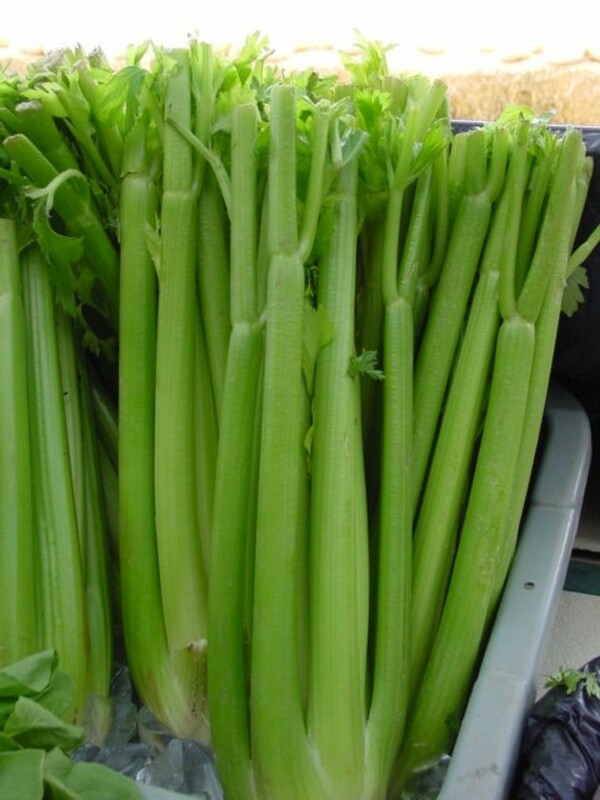 Add in Chinese celery and bring to boil for another 5 minutes. Turn off heat. Serve hot with white rice or porridge. What is Soy Bean Paste? In chinese language, soy bean paste is fondly known as "Taucheo" or "Doubanjiang". Soy bean paste is actually made from yellow soy beans which are mixed with salt and fermented. It comes in several forms such as whole beans, half beans and finely mashed paste. Whole beans and half beans are usually cooked with stir fry vegetables such as long beans,eggplants and steamed fish. On the other hand, finely mashed paste soy beans are used in soup, stewed pork, chicken dishes, tofu dishes and the most popularly known meesiam ( Spicy bihun). 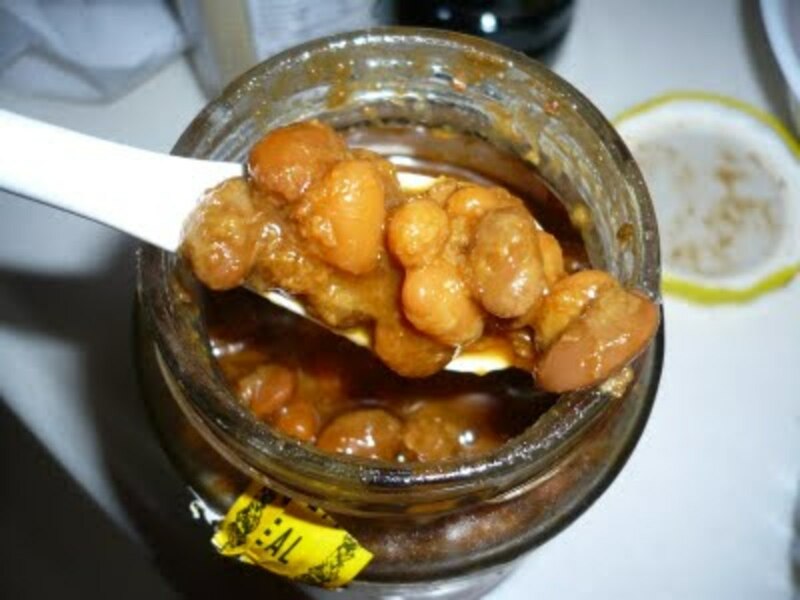 You may also find these Taucheo labelled as "Preserved Soy Bean Paste" or "Bean Sauce", usually packed in small jar with lid, either made in Malaysia or China. thanks thelma, is it expensive to buy fish in Germany? I love fish but I have not eaten fish for a month now I think. 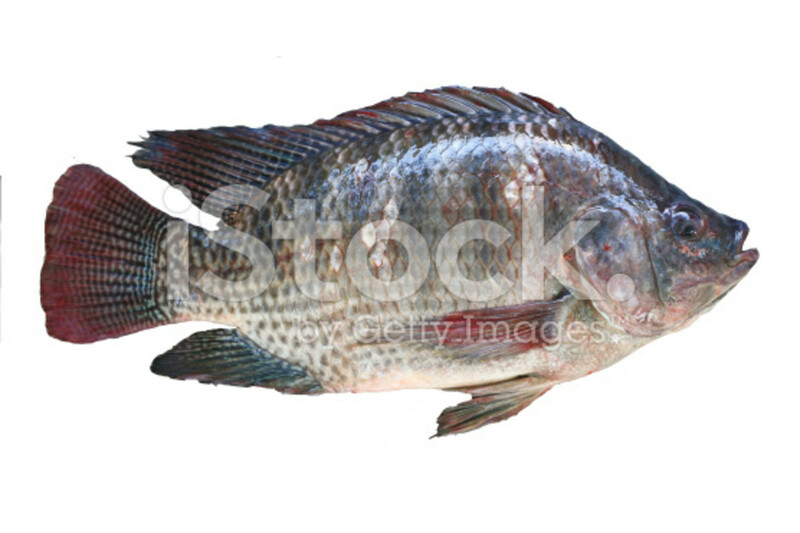 I have to buy and fried or roast fish soon. Thanks for reminding me. I am getting hungry seeing these photos. Good night! Far from it, I had to refer to Wikipedia all the time, LOL. I scored 100% for The Fish Quiz. Thank you, thank you, thank you, Wikipedia!!! My family love fish too. They prefer the spicy fish. Love, love, love fish. Thanks for sharing.